Oh, wait, the lady in the montage thing is real? Wow. I don’t….know what to say about her. She gives me a real Ojou vibe, and I am both attracted to it and scared of it simultaneously. She makes me think of Jessica Rabbit. All that red. 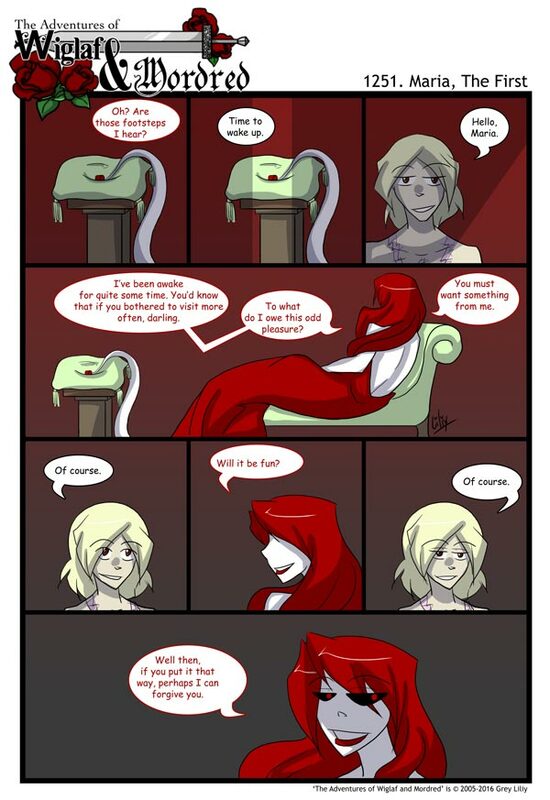 Knowing Lily, and the fact that Jessica Rabbit is a favourite character of hers, I would not at all be surprised(intentional reference or not). Wait. She’s the first artifact?! Wow…. kinda underwhelmed by her only being a ring. Woulda thought the first artifact would have been something more…. royalish? Like a crown or scepter. Though now I have another question on the whole of the forms of the artifacts. Are they limited to a single item or can an artifact be a deck of cards? Artifacts are limited to single items, but they can be made up of multiple parts as long as they’re permanently (more or less) connected. Example: Malachi is a cell phone. He’s made up of a bunch of interlocking pieces, but still a single unit. Éclat’s sword isn’t a solid piece of metal (his blade and hilt are separate), but it’s still fused together so it counts, etc. A deck of cards wouldn’t work, because the artifact would be prone to losing pieces of themselves (or being physically separated from themselves rather), and that would be…bad (think about when Bliss was cracked, but 100x worse).